It is with great excitement we announce that our first book is ready to be sent to the production company. 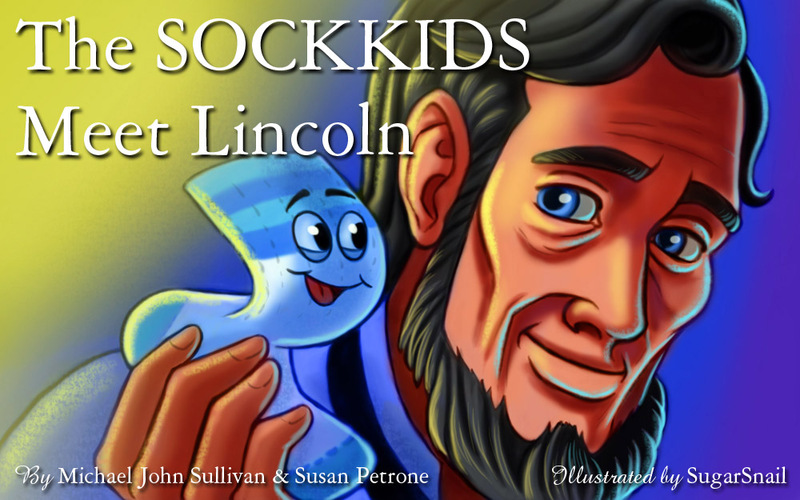 The SOCKKIDS Meet Lincoln was written by Michael John Sullivan and Susan Petrone. It was illustrated by SugarSnail. The book contains 23 illustrations and features the white tube sock with blue coloring, Stretch as he timetravels back to the days of Lincoln. We will post when the book is available to purchase. Thanks to everyone for their support! This entry was posted in SockKids Books and tagged sock kids, SockKids. Bookmark the permalink.